I am reading with much enthusiasm the book Real Movement by physical therapist and massage therapist Adam Wolf, aka the Biomechanical Detective. In a big way, it’s like re-reading a very good book that I’ve enjoyed in the past. I am familiar with a lot of the concepts discussed by Adam and what I enjoy immensely is coming back and examining those concepts through his eyes and his experiences. Wolf is among other things, a Fellow of Applied Functional Science (FAFS) by way of the Gray Institute. I also study and apply Gary Gray’s material. 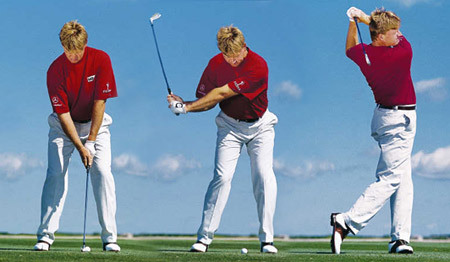 I always like to see how other practitioners apply the principles of 3D movement. I love gaining new perspectives on how to create functional exercises, or exercises that most translate to real life. You can see a lot of examples of this at the Adam Wolf, PT, Biomechanical Youtube Channel. If you ain’t got that sling then you ain’t got that swing. Something I just learned is that Adam’s dad is Chuck Wolf, another functional exercise and movement professional. Many years ago I was introduced to the concept of Flexibility Highways at one of Chuck’s seminars. These highways aka muscle slings, aka myofascial lines, are networks of muscle and fascia that often work together during real-world, whole-body movements. (“Real-life” movements are in contrast to many of the artificially isolated movements that we see in gyms, especially those performed on machines.) One example is the posterior oblique sling as used in a golf swing. Another example is the anterior oblique sling used when throwing. The anterior X sling is a big part of throwing, batting, golfing, running, punching and all sorts of things. The fascial sling system was an interesting concept to me at the time but it has sort of faded from my thinking in recent years. Now, reading Adam’s book and watching his videos has brought those flexibility highways or slings to the front of my mind. These sling concepts are informing both the mobility work I’m doing with clients as well as my exercise selection. In working along and within these sling systems I feel like I’m capturing just about all of the movement we humans are capable of. 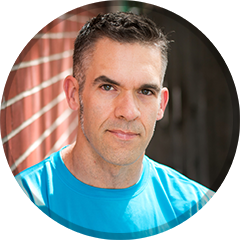 Check out the following videos from Adam Wolf where he discusses how you can move better by following these fascial lines. Which do I love most, strength training or endurance training? Do I love lifting heavy stuff or spending hours running and biking? It’s as much of a question now as it’s ever been. The truth is I love both activities. I love to lift weights and I love endurance activity. I can’t choose one. Periodically my interest swings more to one or the other but I have yet to find a way to de-emphasize one and specialize in the other. Why does this matter? Concurrent training likely causes some conflict at the cellular level in terms of trying to achieve gains. That is, lifting a lot may interfere with endurance adaptations and significant endurance work my inhibit strength, power and muscle-growth adaptations. From what I’ve come to understand, aerobic conditioning seems to inhibit gains in strength, power and muscular hypertrophy more so than the other way around. As regards endurance performance, carrying around extra muscle mass makes running and biking more difficult—especially when going uphill. If nothing else, I often feel like a party of one. Sometimes it seems like I’m the only person who is enthusiastic about both lifting for five reps and under as well as suffering, sweating and panting for over an hour. I don’t meet many others who share my enjoyment of both types of activity. Because of all of the above, I’m excited about an ebook from Juggernaut Training Systems called the Hybrid Athlete. I’ve been following a sample program from the book for a couple of weeks now and I’m enjoying it. I’m lifting more than I have in a while and at the same time I’m running, biking, and hiking a lot. There are several different sample programs but it’s not a book of cookie cutter workout templates. The book discusses the underlying mechanisms at work during both strength and endurance training. Most important, this book discusses recovery and the need to strategize lifting and endurance workouts. For someone trying to train hard on both ends of the exercise spectrum, managing recovery is crucial. Thus, there are ways to train for strength while resting the endurance systems and vice versa such that the athlete won’t be overwhelmed, burned out, and possibly injured. 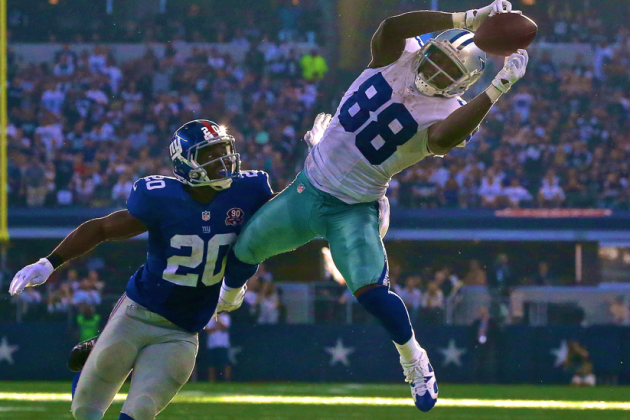 The Hybrid Athlete discusses all of this. Finally, what makes me respect this work is that the writer, Alex Vada, has walked the walk. He’s competed in Ironman traithlons as well as put up impressive numbers in the power lifts. He’s relied on academic learning and experience in the gym, on the road, and in the pool to develop this book. Follow this link to learn more about essentials of the hybrid athlete training. The Merrell Bare Access Ultra. Very green aren’t they? Though the minimalist shoe fad has largely passed, I’m still a fan of the near-barefoot running concept. I like the idea of my feet being strong, mobile and able. I don’t like the idea of relying on a lot of foam, plastic and arch support; and I like the idea of the low drop from heel to forefoot. Maybe what I like most is that I find minimalist shoes to be the most comfortable for me, which seems to count a lot when selecting running shoes. My last pair of road shoes was the Nike Free 3.0 v 5. I loved ’em! Unlike some prior iterations of the Free, they had a roomy forefoot which allowed my toes to spread out as human toes are wont to do. Though they were a minimal shoe, they had just enough padding to make running on pavement and gravel quite comfortable. All good things must end though and the Frees are worn out, destined for yard work. I needed new shoes. As I said, the minimalist shoe movement has faded out a good bit. They were touted by many to be the cure for all sorts of foot ailments. (I fell under that spell.) And like any miracle cure, their “magic” wasn’t magic for everyone. Thus, the selection of minimalist shoes has shrunk. My Internet prowling revealed far fewer minimalist shoes than I remembered being in existence. To make a long story a little shorter, I couldn’t find more of the exact Nike Free that I wanted and I felt the replacement called the Nike Flyknit was more money than I wanted to spend. I looked for reviews for minimalist road shoes and found a very useful site called Run Repeat. It aggregates shoe reviews so it’s sort of like a Rotten Tomatoes for running shoes. (Run Repeat features far more than just minimalist shoes. It appears to discuss a very wide range and brand of shoes.) I found their list for 34 Best Minimalist Running Shoes in 2016. On that list was the Merrell Bare Access. I was familiar with Merrell shoes such as the Trail Glove but I’d never owned any. 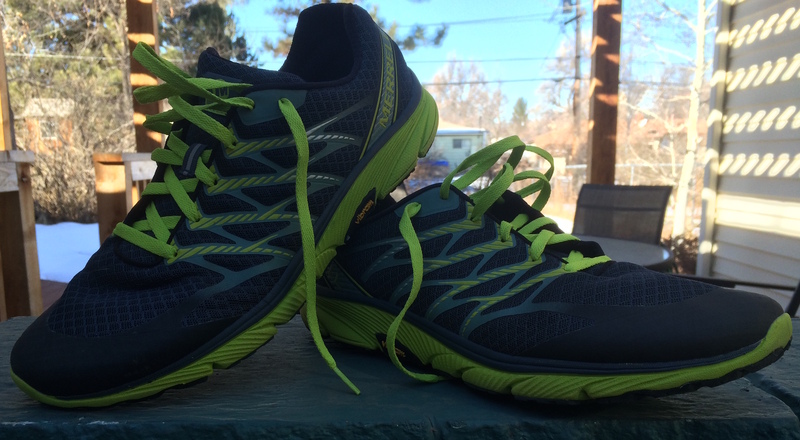 I always thought I’d like to check out a pair and the Bare Access seemed like it was up my alley: a low-drop, lightweight minimal road shoe for training with lots of good reviews. I wanted to find a pair. A few days later I found myself at the always fun DSW Shoe Warehouse. What did I behold in that store but several pair of Bare Access Ultras — on the bargain rack and in my size! I was ready to run as soon as I put them on. They felt very light and lively. Sounds weird but I wanted to run out of the store in them. I’m not kidding. Fit: The heel and mid-foot are perfectly snug but not tight. The forefoot is spacious and gives my piggies plenty of room to spread out. Cushion: The cushion feels great. It’s a minimal shoe so it’s not terribly thick but enough to make running very comfortable. I find the shoe to be very snappy which I suppose is largely a function of the sole and cushion. They make me want to sprint! Upper: I can tell the upper is very well ventilated which isn’t much of an issue in the winter but I think they’ll be very cool and comfortable in the heat. Weight: They’re very light which again, makes me want to move fast. All of this adds up to a shoe that feels light and fast. I honestly don’t want the run to end when I’m in them. Moab Trail Marathon Part I: Preparation & Running My A%$ Off. I’m running the Moab Trail Marathon on Saturday. This will be my first trail marathon and my second ever marathon. I will admit to being a bit nervous. It won’t be easy… or difficult. It’ll be tough as hell. I’ve put in the work though, I’ve had several very good runs lately and I figure I’m as well prepared as I can be. I’m estimating of about 4:48 to 5:14. Here’s the day-to-day rundown of a week on the Hansons beginner plan. I ran trails twice per week. For the first several weeks my trail runs were Thursdays and Sundays. My thinking in replacing the Thursday tempo run with a trail run was that the highly variable pace of trail runs made the tempo run unnecessary (or maybe less necessary). One Thursday I couldn’t make it to the trail and I did a tempo run. I enjoyed it and I thought I noticed the following week’s runs felt better. So I switched to tempo runs on Thursdays and started back-to-back trail runs on Saturday and Sunday. I don’t believe I could have run two long trail runs in a row at the start of the program. It seemed like a very daunting proposition! Many ultra-running plans feature this pattern though so I knew it was possible. I believe back-to-back trail runs are ideal in that part of the Hanson’s plan is to create “cumulative fatigue” in preparation for the week’s long run. Since I’m running a trail marathon, it makes sense to create a lot of this fatigue on the trail. I would love to find out from a trail running coach or coaches if this seems like a prudent strategy. Tuesdays were often nasty. Tuesdays were track workouts for the first several weeks of the plan. They totaled three miles of work. Track workouts were interesting psychologically speaking. They were intimidating but exciting in their very Spartan way. They weren’t “fun” but I always felt like I accomplished something significant when I completed them. Tuesday track workouts transitioned into “strength” workouts. These were six miles of work. I did the strength workouts on the road though because that much running on the track would’ve bored me stupid. These workouts were tough by themselves both physically and mentally. That they came after five days of other runs made them titanic undertakings some days. I felt rough by Tuesday. Tired, shot, worn-out and trashed. Some days I’d look at the Tuesday workout and think, “What sort of insane fool is going to do this?! Oh… that would be me I guess…” And I’d give the Hansons book an obscene gesture. Oh well… Had to get that work done. Weekly mileage was 40-50 miles per week. This was by far the most I’ve run in my life. The longest run in the Hansons’ plan is 16 miles and there are three of those in the beginner plan. That’s shorter than a lot of typical marathon plans which typically hit 20 miles. These long runs come every other week with shorter long runs (around 10 miles) on other weeks. That “short” 16-miler comes after three days of running though including a somewhat long Saturday run.. So you go into the long run on some tired legs. The Hansons claim the plan trains you for the last 16 miles of the marathon. Sounds plausible to me. All those long runs were trail runs and they were never easy. The roughest of the bunch was the Herman’s Gulch to Jones Pass trail. That started at about 10,000 ft. and topped out at over 13,000 ft. Took me 4.5 hrs. It was an overall brutal experience. The terrain was very challenging and it took me about a full week to recover from that excursion. Did I mention being tired? The result of all this is that at times I’ve been utterly wiped out. I had about one weight training workout per week. It’s all I could handle! I’ve learned that as I’m apparently a little older than I used to be (not sure how I allowed that to happen) I need rest and recovery more than I need more/harder work. I took a few Mondays completely off but not too many. I recognized that the plan is the plan for a purpose. Early in the plan I sometimes substituted a mountain bike ride for the easy runs and/or for the Saturday run. Those mountain bike rides were often very challenging and I think they made the following day’s long run very difficult. Many of the miles on the Hanson plan are done at an easy pace. Some coaches insist that too many “junk miles” can be detrimental and that easy run days or recovery runs should largely be avoided. I would add to this that easy runs are a good time to work on running technique. It can be a time to think about foot placement, posture, cadence, addressing a possible crossover gait or other issues. The easy runs are low-stress and permit us to focus on needs such as these in a stress-free situation. It’s Tuesday and the race is on Saturday. I’m thrilled to report no real injuries. I’ve never run this much in my life so I’m very happy to have overcome the aches and pains that have plagued me for many years. I believe trail running may have some injury preventative qualities centered around movement variability. I also appreciate the psychological effects of running in nature. I’ve written about both those things here. Bottom line is that I’ve loved the process. From the track workouts to the long runs in the mountains to the ho-hum punch-the-clock runs (of which there were many) I can say I have truly enjoyed the preparation for this race. I’ll post more about the process later. I recently attended a course called 3D MAPS. The course was presented by Dr. David Tiberio and it was offered through Gary Gray’s Gray Institute. I enjoyed the course and learned a lot. I’m now applying the concepts I learned in both my own training and in my clients’ programs. Here’s a rundown. 3D – The human body moves three-dimensionally. All proprioceptors respond, all muscles react, and all joints move three-dimensionally. It only makes sense to analyze and progress the body three-dimensionally. 3DMAPS facilitates functional assessment and much, much more! Movement – 3DMAPS leverages movements – lunges, reaches, squats – that are paramount to common, everyday movements and activities. These movements are authentic to the individual and relevant to what the individual does. While other screens, scans, analyses, claim to be functional, 3DMAPS actually is. Analysis – 3DMAPS analyzes the entire body’s mobility (flexibility, range of motion) and stability (strength, control of motion) and then identifies a Relative Success Code specific to individual – based on symmetries, asymmetries, and disabling pain within the movements. Performance – 3DMAPS enhances the function of the individual and progresses systematically and scientifically for optimal function and improvement. System – Performance Movements parallel Analysis Movements, thus creating a seamless and intuitive process for both the practitioner and the patient / client. 3D MAPS uses six lunges in three planes of motion to check mobility. In the saggital plane we have anterior/posterior lunges. In the frontal plane we have same-side lateral and opposite-side lateral. In the transverse plane we have same-side rotational and opposite-side rotational. Six variations on one-legged squats are used to check stability. The same planes of motion are used as the lunges but instead of taking a full lunge step the client balances on one leg while reaching the other leg in the various different directions described above. These single-leg movements can be quite challenging and putting the foot down is allowed if needed. In addition to the lunges and one-legged squats, clients swing their arms in the same three planes of motion as the lunges and squats. 3D MAPS movement patterns used to evaluate mobility and stability: anterior lunge, posterior lunge, opposite side lateral lunge, same side lateral lunge, opposite side rotational lunge, same side rotational lunge. The lunge images are in black. The 1-leg squats are red. Above are the basic movement patterns used in 3D MAPS. Trainers can “tweak” (in Gary Gray speak) in our out a wide variety of movement variables to make the movements more or less challenging. For instance, clients may lunge or one-leg squat without the arm swings or they may swing the arms without the lunges and one-leg squats. Lunges and one-leg squats may move in different planes from the arm swings. The ground reaction force of the lunge may prove too challenging for some clients. A trainer can then simply ask the client to get in the lunge position and oscillate into and out of the lunge position. The one-leg squat variations are designed to challenge the client’s balance and stability skills. They may be too challenging especially when the arm swings are used. Therefore a trainer may allow the free foot to tap down, tweak out the arms, keep the head steady (as opposed to moving with the trunk) or allow the client to hold lightly on to something for a little more stability. The idea here is to find the limits of someone’s stability but not to totally push them over the edge of his or her ability. As we observe the client move we take note of the right/left symmetry of the client’s mobility, stability, and whether or not there’s pain present during the process. We note their successes and deficits as part of something called the Relative Success Code. This is a way of ranking their abilities from most to least successful and it helps determine our training or treatment process. I feel the 3D MAPS process lives up to its “functional” billing. That is, it allows us to observe movements that are specific to many real-life situations. 3D MAPS speaks to the SAID Principle which says our bodies adapt specifically to the demands imposed on us. Real-life demands us to move in three dimensions, react to gravity and that our joints, limbs and muscles all work together to accomplish various tasks. 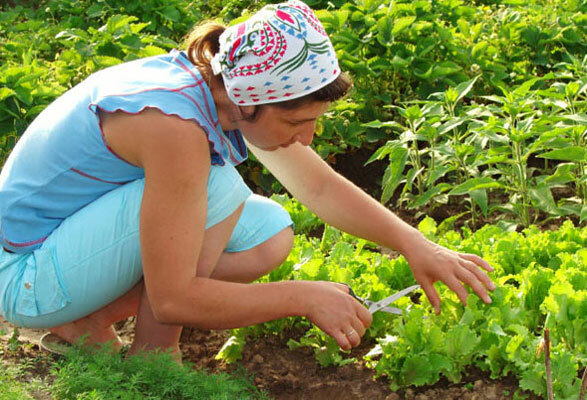 We tend to stand on one or two legs while doing these tasks. For all these reasons I feel like 3D MAPS is superior to something like the Functional Movement Screen (FMS), sit-and-reach tests, 3-minute step test, crunch test, pushup test, timed plank test, etc. Most of my clients find themselves working fairly hard as we’ve gone through 3D MAPS. It feels like exercise. Not all movement analysis systems deliver this feeling to the participants. The reality is that many of our clients come to us because they want to exert and sweat. If we can gain valuable information and give our clients a workout then that’s a very good thing. The Gray Institute does a good job of teaching how to teach. Dr. Tiberio and the online videos made it easy to understand the breakdown of the movement patterns and how to progress and regress them. If 3D MAPS reveals a mobility and/or stability deficit then my clients typically perceive it. They often very clearly recognize that they’re lacking in their ability to lunge and they can always tell if they have poor balance. This is valuable in getting a client to buy into the 3D MAPS process. Further, I’ve found that following the 3D MAPS intervention blueprint often results in noticeably better stability and/or mobility. It’s always exciting to see results! There are a couple of ideas behind the process of moving from the most successful down to the least successful movement task. One is that we want the client to feel successful and confident. If he or she can do something well and feel competent and confident then they will likely have a generally good workout experience. He or she may feel encouraged to try more difficult work. The other idea informing the most-to-least-successful process is based on the possibility that the nervous system will best be able to solve the most difficult movement task if we very gradually expose it to increasingly difficult work. This makes sense if we think of learning anything from a language to music to driving a car to skiing. We do best if we start with very simple tasks and then progress toward more difficult territory. This process makes sense to me. As I mentioned earlier, there are many ways to “tweak” the lunges, one-leg squats and the arm swings. Trainers can have clients move their head or not. We can ask clients to speed up, slow down, and lunge or squat farther out or closer in. We can go with lower-body or upper-body movements only and we can have clients use either the upper or lower body in ways to increase or decrease stability requirements. Beyond the assessment aspect of 3D MAPS, we can have clients hold weights, medicine balls, cables, bands, etc. if we want to create a greater challenge. 3D MAPS is a very good lower-body assessment but it seems limited as an upper-body assessment. It’s very difficult to observe scapular movement quality or humeral internal/external rotation quality. Further, while we can observe mobility and stability in the lower-body, 3D MAPS gives us virtually no indication of upper-body stability. For now, 3D MAPS gives me a big picture of how the person is moving. It doesn’t reveal a lot about individual joints. My criticism here will probably lessen as I become more familiar with and more skilled at using 3D MAPS. 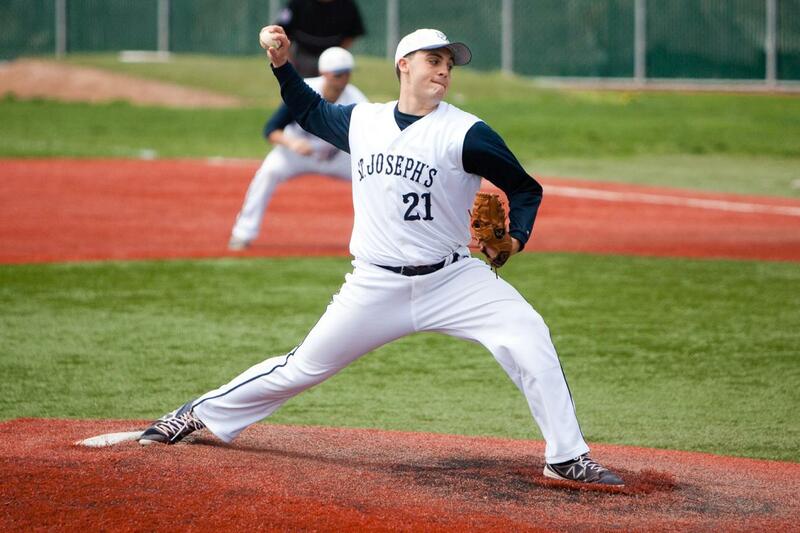 Proper use of “tweaks” should help reveal individual joint limitations. The Relative Success Code is supposed to be simple but it’s not and from what Dr. Tiberio said, the Gray Institute knows that there’s more work to be done. We’re supposed to score the client’s movement from their best success down to their least and then start working from their best to worst movements. But with six lunge variations and six one-leg squat variations for both sides of the body there is a lot to try and see and score. The issue as I see it is that human movement is complex and we can only simplify it so much. This is related to the previous criticism. 3D MAPS provides tests for both mobility and stability yet we’re only supposed to give the client a “+” if they show good mobility and stability, a “-” if they show poor mobility/stability or “- P” if they have pain on any test. If we’re testing two things it seems we should give two separate scores on each test for stability and mobility. I imagine that every trainer and therapist who uses 3D MAPS will create their own two-part score. Dr. Tiberio acknowledged this during the presentation so I’m betting the scoring system will change soon. One of its strengths can also be a weakness. There are near infinite ways to change the testing process as well as the training/treatment process derived from 3D MAPS. Initially it’s daunting when considering all the options. Like most any new skill, the more we use it the better we get at using it. This is a minor criticism. 3D MAPS gets a thumbs-up from me. I use some portion of it daily with practically all my clients. More than anything I appreciate that the driving force behind 3D MAPS is actual real-life movement requirements. I love the emphasis on three-dimensional movement. Gary Gray maybe more than anyone in the industry insists that we always look at movement through a 3D lens. Some of this gets complicated. It does take a lot of thinking and practice to feel comfortable using the system–but what new skill doesn’t take a lot of work to master? Dr. Tiberio said something during the 3D MAPS presentation that I found wise and valuable to me. He said, “Don’t give up what got you here.” With that he meant don’t throw out all the training methods and tools that we’ve used to become successful trainers. Don’t rush too headlong into the shiny, brand-new, hottest thing that we’ve just learned (and likely not yet mastered). His words spoke to me and some of my past experiences as a trainer. To my regret, I’ve thrown several babies out with various tubs of fitness bathwater. There were times I was convinced that I found the absolute best, most incredible absolutely most effective tool, exercise or system and I just had to push all my clients in the direction of said new-cool-thing. While in reality two things were probably true: A) Said new-cool-thing may not have been the miracle answer to all things I thought it was, and B) Some of my previous tools, exercises and systems were still valuable. The result was that sometimes either I, my clients or both of us were frustrated. With both Dr. Tiberio’s words and my own experiences in mind, I am trying to fold 3D MAPS into my training process in a way that’s both amenable to my clients and that doesn’t frustrate me as I get familiar with 3D MAPS. What that means is that I typically work on some of the mobility/stability issues that I see in my clients but we may not spend the whole session on 3D MAPS-related issues. We still use barbells, kettlebells, the TRX and other training tools to perform non-3D MAPS-type exercises. I have found that a very good way to work on clients’ mobility/stability issues is to put 3D MAPS exercises in between sets of say bench press, deadlift, pull-ups, etc. 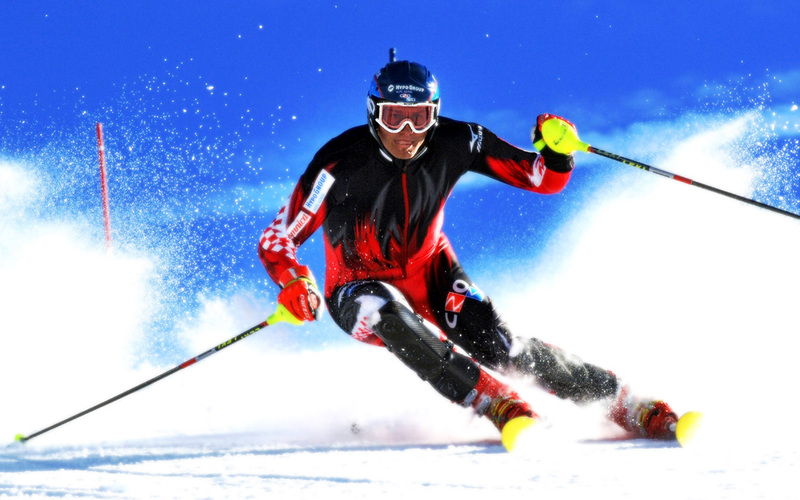 Further, if someone is preparing for an athletic tasks (I train several skiers and snowboarders for instance) then their sport dictates that they exhibit athletic skill during times of fatigue. 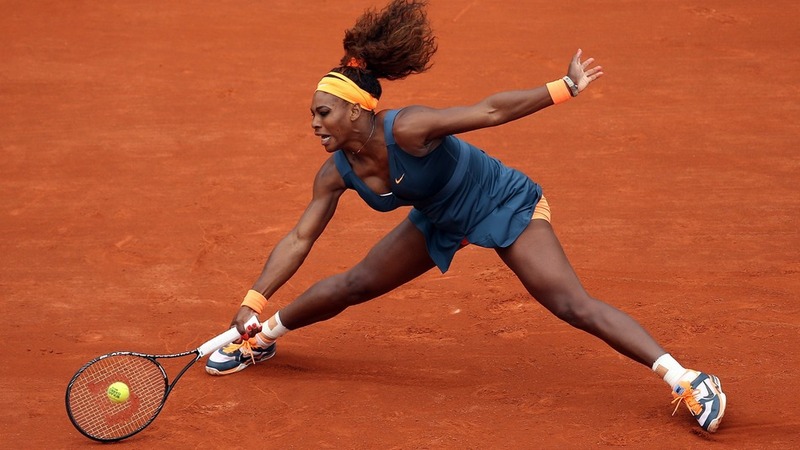 I believe an effective way of training these athletes is to fatigue them in some way (with kettlebell swings for instance) and then require them to exhibit skilled mobility/stability (with some sort of one-legged squat for instance). Thus I’ve found that 3D MAPS work can easily be used alongside whatever other training modalities a trainer and his or her clients enjoy, so hooray for everyone! That’s about it for now. My next post will speak to the idea of functional training and exactly what that term might mean. In the previous post I showed a bunch of lunge and squat variations. Here are some more lunge variations this time with arm reaches. While lunging, we can drive motion from the upper body by reaching up, down, across, overhead, etc. We can reach with one or both arms. 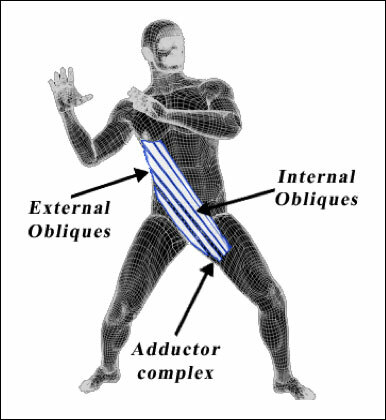 The way in which the trainee steps drives motion from the upper body up through the rest of the body. As he or she reaches, motion is driven down through the body toward the ground. 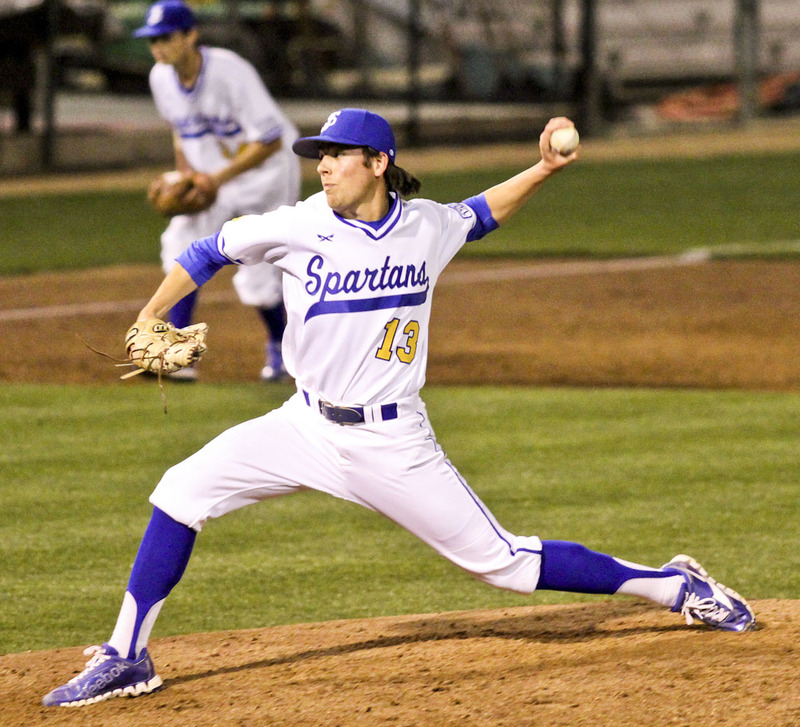 The reaching affects balance and creates a wide range of slightly different body positions which look a lot like any number of athletic activities, for example, look at the baseball pitcher and basketball players. Saggital plane anterior lunge with same-side posterior arm reach… Or something like that. Lots of stuff happening. 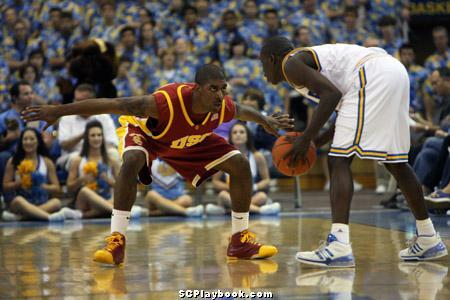 Kobe executes a type of lunge and reach down. Resistance can be added to these in numerous ways: weight vest, dumbbell(s), sandbags, kettlebells, etc. Cables or tubing positioned at any number of angles can speed up or slow down the lunge. Remember though, if someone can’t control these exercises then he or she should be regressed to something that is controllable, safe and manageable. Here are a few examples of lunges combined with reaches in various directions. I’ve shown an anterior lunge and a lateral lunge but we could add any of these reaches to any type of lunge. The combinations are nearly infinite. Next we can progress to jumps and hops, all done in any number of directions, all with feet and arms in any number of positions. I’ll show some of those in the next post. Athletic endeavors and typical daily movements are rarely symmetrical. We’re often stepping from one foot to the other in any of several directions, swiveling and/or bending our bodies, reaching, moving with a load on one side of our body–all potentially at the same time. If we think of the SAID Principle (discussed very thoroughly here by Todd Hargrove of Better Movement) then it stands to reason that some of our training ought to resemble our chosen athletic or leisure activity, both in movement pattern and energy system usage. 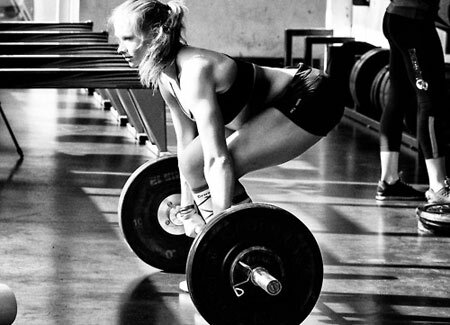 deadlifts for instance–keep the feet planted against the ground in a symmetrical stance. Fine, but how much should we expect those exercises to translate to something like skiing? 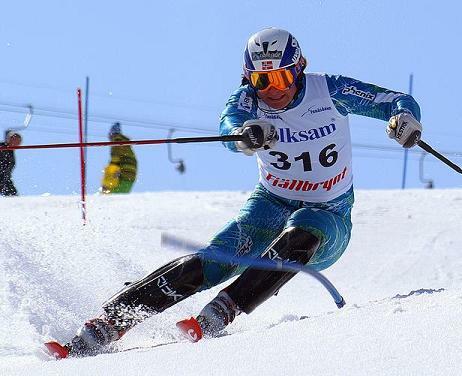 Yes skiing uses two legs and it sort of looks like a squat but there’s a lot more going on during a ski turn than just moving the body down and up. landing and movement into positions which look a good bit like a deadlift–but clearly doesn’t look like the standard deadlift. These are the types of movements that more closely resemble many sports and recreational activities. These can be used as part of a warm-up for a workout or they can be used as the workout itself. At some point we need to consider ground reaction forces. A foot or feet hitting the ground creates a whole different set of circumstances compared to planted feet. Enter the lunge. A lunge creates a ground reaction force (GRF) as the foot hits the ground. A series of events should ideally take place in a certain sequence at the following joints: mid-tarsal joint, subtalar joint, talocrural joint, knee, hip and on up through the spine and even out to the shoulders and beyond! There are a lot of variations on the lunge. We can step in any number of directions. Our world is a three-dimensional place so we can step forward or backwards, side to side, or in a circular or twisting type of motion.The purpose in doing this is to allow us to experience a wide range of joint angles and different ground impact scenarios. We can see if an athlete is able to move into his or her sport position. We might be able to expose a movement pattern that is unstable and which the athlete may want to improve for performance and safety. Here are a collection of lunges done in an assortment of directions. Each type of lunge creates a different reaction throughout the limbs and joints. Not pictured are lunges in which the trainee steps up or down off of a step. Any of these lunges can be done in this way. It’s a good way train for something like a hike (if for some reason a hike can’t be undertaken) or to simply add variety and new skills to the workout. Next you’ll see lunging in conjunction with reaching. I spent much of the Summer and Fall going through the FASTER Global Specialist in Functional Performance and Specialist in Functional Therapy courses. It’s been a fantastic experience. At times it was incredibly challenging but such is life with anything worth learning and doing. I’ve come away from the experience with a tremendous movement analysis skill set, and a systematic way of thinking that I didn’t have before. Sometimes I think I know something, that I’m a fairly knowledgeable trainer. Then I’m exposed to new information and I think, “I don’t know anything!” Whenever I dig into something new I have my old beliefs challenged by new concepts. That’s very much my experience with FASTER. In this post I’m going to cover a few things I’ve learned. I’m going to try and keep it concise. I could meander all over the place…. The Specific Adaptation to Imposed Demand (SAID) principle is always at the top of the FASTER thought process. We consider the client’s or athlete’s goal(s) and then we build a program that very closely resembles that goal. If we’re working with a skier then joint motions and body position should look a lot like skiing. Similarly with a bowler, kayaker, runner, rock climber, pitcher, someone who has trouble waking up and down stairs–whatever. So with that we start with some questions. Can the athlete get into the position required by the activity? Asked another way: Does the athlete have the range of motion for the task? Can the athlete control the ROM at the speed required of the sport? Look at these activities. Lots of interesting poses here. Notice how the bodies are positioned. Notice the knees, hips, trunk, arms and head. Take note of all the angles between the joints. Here’s a question: Do any of the exercises you see or do in the gym look anything like any of these? How much of what you do in the gym puts you in an athletic or “real life” position? Does a standard squat, deadlift, kettlebell swing, sit-up or any type of machine exercise fit the bill? In my exercise toolbox I now have the observational skills and knowledge to address those previous there questions with my clients and athletes. I know how to progress people from very simple movements to far more aggressive movements. I feel confident in my ability to help my clients solve their own movement problems via what I hope are fun, challenging and safe exercises. In following posts I’ll discuss progressions and variations on traditional exercises. By playing with joint angles, foot positions and hand/arm positions, and by employing impact (stepping, hopping, jumping) we can create an infinite number of exercises that closely resemble sporting activities. With this process we can probably better prepare for sports than if we simply employ traditional exercises like squats, bench presses and deadlifts. Don’t worry if you don’t consider yourself an “athlete.” These exercises tweaks can be a lot of fun, very challenging and never boring. I’m about to finish Matt Fitzgerald’s Diet Cults and I’m enjoying it a lot. He discusses the extent to which we identify ourselves by how we eat. Many of us proudly and loudly claim the label of Paleo, Vegan, Raw Food, High-Protein, Low-carb and similar type things. Food gurus try to convince us that there is as Fitzgerald calls it The One True Way to eat, a way that guarantees long life and good health. The various diet gurus tell us that the One True Way exists, but science tells us something different. Mainly what we learn is that humans seem to be very flexible in our ability to not just live but thrive on all sorts of different eating patterns. Diet cults however tend to rigidly forbid various foods (grains, gluten, dairy, animal flesh, alcohol, even cooked foods are a few examples) with the threat that you will surely fall ill and possibly die from any number of ugly conditions. Motivation (different from willpower) is far more predictive of long-term weight loss than any type of diet or eating pattern. Here’s the study from the National Weight Control Registry. Fitzgerald profiles various individuals who have lost weight and improved or maintained their health on all sorts of diets: Paleo, raw food, Weight Watchers, high-protein are a few examples. He even discusses researchers who maintained very good health while eating nothing but white potatoes for a month! The point? There doesn’t seem to be any One True Way to eat. He discusses chocolate, wine and coffee, three things that are often demonized and forbidden in various diets. (Our paleo ancestors definitely didn’t even have them.) Yet there is evidence that they can confer good health on us when consumed in reasonable amounts. I like that he brings up the joy and pleasure we often have when consuming them. Spiritual health is something to consider alongside the strictly “physical” health components of our eating habits. “Four years later, Shanta Dube and her colleagues at the Centers for Disease Control went a step further. They gathered information about “adverse childhood experiences” from more than 15,000 adults. The categories of adverse childhood experiences were physical, emotional, or sexual abuse; witnessing domestic violence; and growing up with household substance abuse, mental illness, parental divorce, and/or an incarcerated household member. These data were used to create cumulative childhood stress scores for each subject. Dube and her colleagues then collected information from the subjects on hospitalizations for twenty-one selected autoimmune diseases in three categories. When the researchers crunched the numbers, they discovered that subjects were between 70 and 100 percent more likely to have developed an autoimmune disease than were subjects who had suffered no adverse childhood experiences. The point? Food isn’t the only cause for our illnesses. Our emotions and the stress of modern living seems to have a very powerful influence on whether or not we’re “sick.” Thus, going on some sort of absolutist diet may have no effect whatsoever on such things. So there are a few thoughts. Fitzgerald doesn’t give us license to eat all the garbage that we want but rather he illustrates that we can very comfortably attain excellent health through a wide variety of foods. (In my view, giving a damn at all about what you eat is probably the vast majority of what will get you where you want to be. Thinking about your food is a great starting place.) If you’re confused about all the mixed nutritional messages around you and some of the wild claims made by diet gurus then Diet Cults may deliver much welcome information. I like this plan. You might too. The Colorado Marathon and Half-Marathon are coming up on May 5. It’s in Ft. Collins, north of Denver. I’m running the half-. It’s actually my first half-marathon. I’ve run several 10-milers, a 15-mile trail race, 10k’s, 5k’s, and one marathon, so this shouldn’t be any radical departure. This is a very popular race that fills up early. The course is supposed to be scenic and this time of year is spectacular in Colorado. It’s also slightly downhill which should make for a fast race. My goal time is just under 1:38 about 1:47. That’s based on a 23:10 5k I ran last year. That it’s downhill makes me think I might get a little bit better time. I’ve been following the 3-run per week Runner’s World Run Less, Run Faster plan developed by the Furman Institute of Running and Scientific Training (FIRST). I enjoy the plan for several reasons. First, it covers the whole spectrum of speed: fast track workouts, tempo runs, and long runs. Everything is paced. Times are based on a 5k race time. The plan pushes me to run harder than I probably would on my own. That’s good. Second, with only three runs per week it’s time-efficient. The idea is for you to do only what you need to do and nothing more. That’s another good idea. 1-leg work: pistols alternated each week with 1-leg RDLs. I mix pistols off a box with TRX pistols. Two weeks from the race I’ve done some single leg jumping on and off a plyo box. Mobility work: I’ve been religious about using the rumble roller, lacrosse ball (big-time favorite of mine), and the Stick to address my soft tissue. 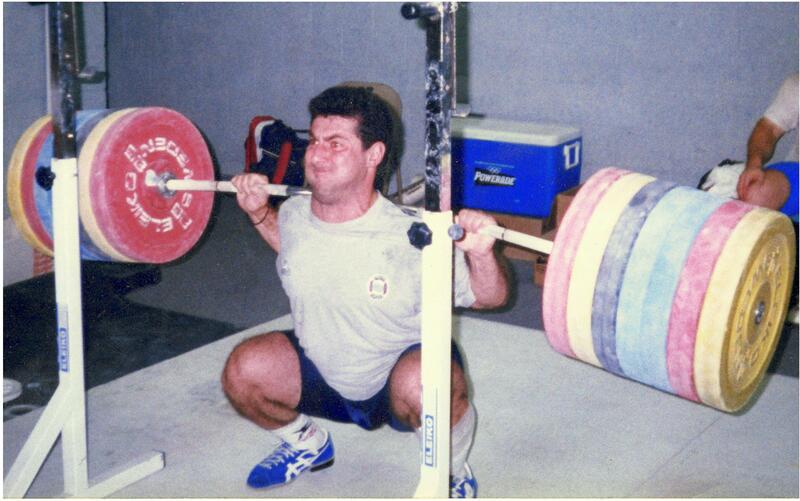 I’ve also been smashing my quads with a barbell ala Kelly Starrett’s Becoming a Supple Leopard pg 326. (That one’s great for nausea. That is, if you’re not currently nauseous and you’d like to be, the barbell quad smash will get you there. Seriously, it’s really improved my hip flexor ROM and helped reduce soreness.) I’ve worked a lot on ankle mobility; foot/big toe mobility; hip flexors, extensors, adductors and rotators; quadratus lumborum (HUGELY for me lately), and thoracic mobility. I’ll often combine this work with a trip to the hot tub either before or after. If I missed an exercise one day due to time or fatigue, I fit it in on another day. There are lots of core exercises to pick from. I don’t do them all in one workout, therefore I often get one or more in on another day. I think single-leg work is very important. Running is a one-legged gig. Mobility, stability and strength on one leg is an essential ability. Further, it seems that getting strong on one leg makes me stronger on two legs (squat or deadlift), but getting stronger on two legs doesn’t necessarily seem to make me stronger on one leg. The last week before the race I might do some single-leg jumping only–and nothing else. It’s time to rest. More work at this point won’t improve my race performance. The core work has been a big part of this scheme. I’ve spent more time on specific core work than I have in the past. I understand it better. I perceive its importance more thoroughly than I used to. I’m hoping for good weather. Spring in Colorado can be sunny and gorgeous or it can be frigid, snowy/rainy, and rough. Sunny and gorgeous is my preference.